They're real, and they're all around us. Huge buildings that eavesdrop on unsuspecting guests. Hideous fish whose songs drive villages insane. Obscene voices whispering madness through the Net. Gruesome gardens full of living human organs. Crystalline creatures floating between our atmosphere and the starry depths of outer space. And things that look like vampires – but aren't . . . 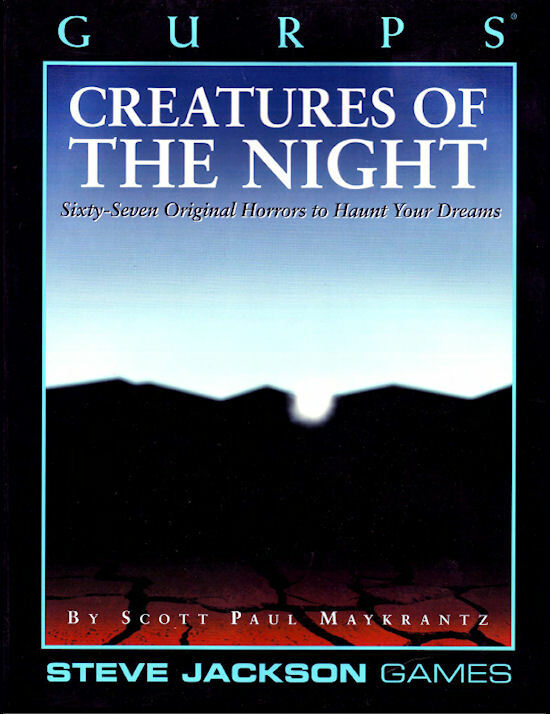 Creatures of the Night details 67 different modern horrors that will fit perfectly into your Illuminati, Warehouse 23 or Black Ops campaign. Your players aren't ready for this . . . 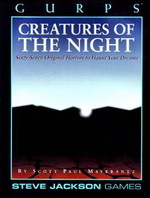 Check out the full Creatures of the Night line for Fourth Edition. Designer's Notes, from Pyramid #5.